The official residence of the Watanabe 渡辺邸 family, the caretaker family (karoo　家老) of the Lord of Miura. It was built in the first year of Meiwa 明和元年（1764). 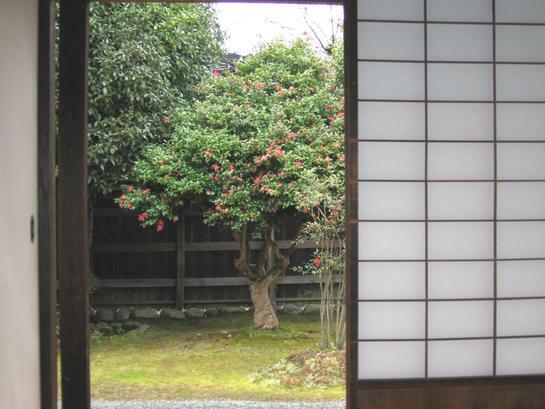 Now it is a small museum where you can enjoy the life of a samurai family of olden times. 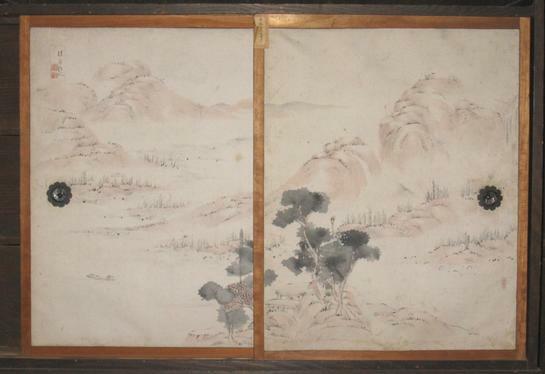 The culture of the samurai, buke bunka 武家文化 is very special to Japan and was at its best maybe during the Edo period. Apart from the daily practise of martial arts, they were also educated in the art of poetry, tea and flower arrangement, for example. A real samurai had to be strong and educated, bunbu ryoodoo　文武両道. Click on the haiku to look at them in detail. First a bit more on the samurai residence. A style of residential architecture in use among the bushi 武士 or warrior class. As defined by the early 20c Japanese architectural historian Itou Chuuta 伊東忠太, buke-zukuri originated among the eastern warriors and came to maturity in Kamakura 鎌倉, the headquarters of the military government, bakufu 幕府, founded by Minamoto no Yoritomo 源頼朝 in the late 12c. It was purportedly surrounded by a peripheral defensive enclosure with gates. Inside the enclosure there was a guard house, touzamurai 遠侍, and the main building, which originally had a shingled roof and was entered via an entrance porch, kurumayose 車寄 (see genkan 玄関). 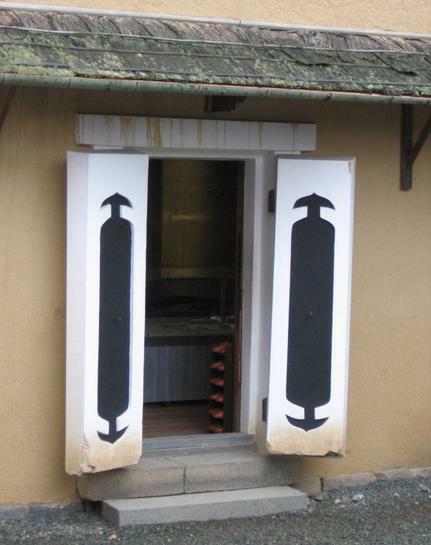 ta-no-jigata 田の字型, which was then believed to have originated in farmhouses, nooka 農家. 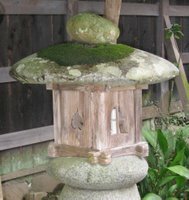 The term buke-zukuri was used in contrast with shinden-zukuri 寝殿造, the shinden style, which was used by the Heian aristocracy. Some controversy surrounds the use of this term, since the characteristics ascribed to buke-zukuri could also be found in a variety of other housetypes of the medieval period. The adoption of the term buke-zukuri owes much to the categorization of pre-modern Japanese society into distanct classes and to the idea that each class has a unique residential style. The terms bushi juutaku 武士住宅 or buke yashiki 武家屋敷 are also used to refer to the houses of the warrior class, but these terms do not imply the existence of a distinctive style. Click on the haiku to look at them. Look at my photos from here to # 39. In order to preserve as much as possible of the original atmosphere, even the rain gutters have been made from bamboo and wood. The walls of the store house were made of mud and other unburnable material to protect the treasures stored inside. The walls were very thick, so were the doors. 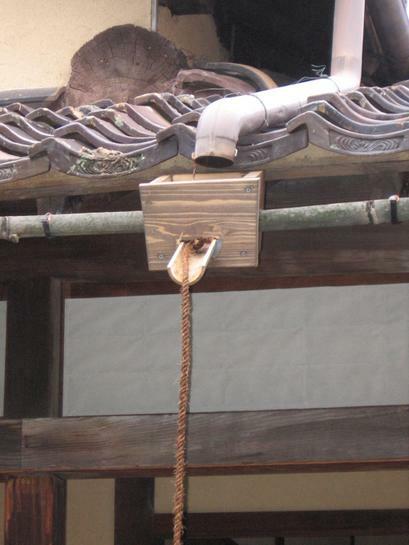 Fire was a gread hazard in olden times and the strongly build "kura" were one way to protect one's property. The rest are some scenes of the lovely garden.